2nd PR about this today. We’re offering six new expansions for Hero Realms on Kickstarter, starting today! New players can catch up with the Everything Tier. Backers get tons of all-new content for both cooperative and PVP play. So check it out. 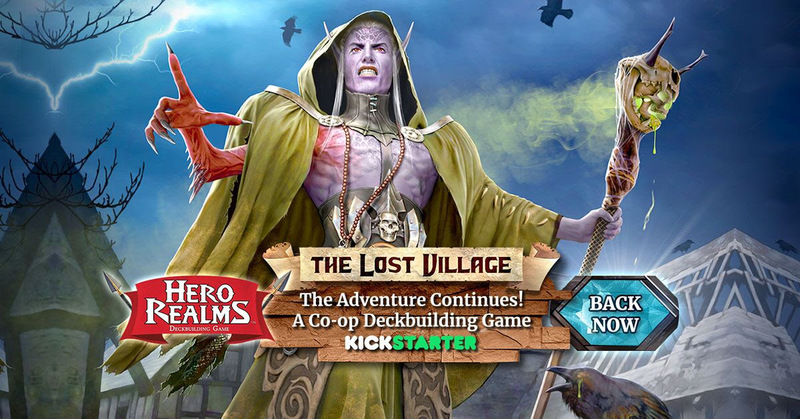 November 13, 2018 – Framingham, MA – A Kickstarter which launched today offers tons of all-new content for Hero Realms, the popular fantasy deckbuilding adventure game. New players will find it easy to use the Journeys Kickstarter as an entry point to the game line. They can just back the project, and get the Everything Tier. The Hero Realms Journeys Kickstarter marks the second time Hero Realms has come to the crowdfunding platform. In 2016, the base game raised more than $550,000 from almost 7,000 backers. The Ruin of Thandar, which allowed fans to play cooperatively, released soon after, turning Hero Realms into an RPG-like leveling deckbuilding game with cooperative play. Since then, Hero Realms has exploded in popularity, winning fans all over the world. 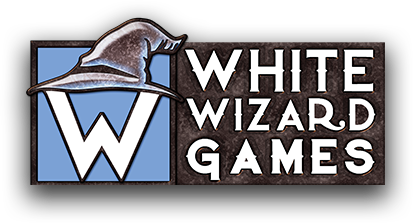 White Wizard Games is excited to bring new layers to PVP Hero Realms games, and to bring on the next chapter in cooperative play. Hero Realms uses a system similar to that of Star Realms Deckbuilding Game, which won seven Game of the Year awards upon its release in 2014. For more information, check out the Hero Realms Journeys Kickstarter, like our Facebook page, and follow Hero Realms on Twitter @HeroRealmsGame. White Wizard Games LLC, was founded in 2013 by a team of seasoned professional gamers dedicated to creating games that are affordable and fun for everyone. Their first game, Star Realms, a space combat deckbuilding game, exploded in popularity and has won 7 Game of the Year awards. Their games are known for being easy to learn while also having enough strategic depth for even the most advanced gamers. The founders include Magic Hall of Famers Darwin Kastle and Rob Dougherty (developer and co-founder of the Ascension deckbuilding game) along with veteran app designer Tan Thor Jen and graphic designer Vito Gesualdi. From the creators of the award-winning Star Realms Deckbuilding Game, Hero Realms combines the fun of deckbuilding with the interactivity of trading card game-style combat. As you play, spend gold to acquire new actions and champions for your deck. These cards generate powerful effects, provide additional gold, stun opposing champions, and damage the opponent. Reduce your opponent’s health to zero and claim victory for your realm!